This is a one day of sturgeon poacher Vasilii. High risks but also high profits this is what his life is about and we are going to see it now. 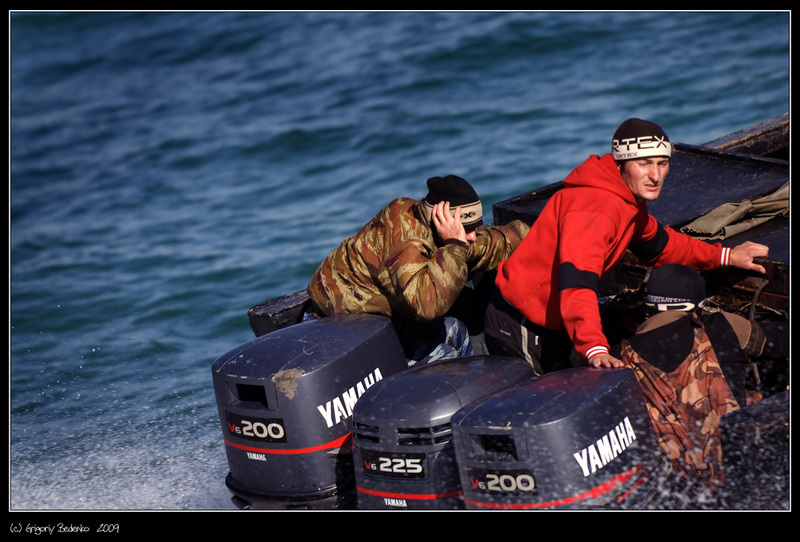 Vasilii earns his living hunting sturgeon like many men in his village do. 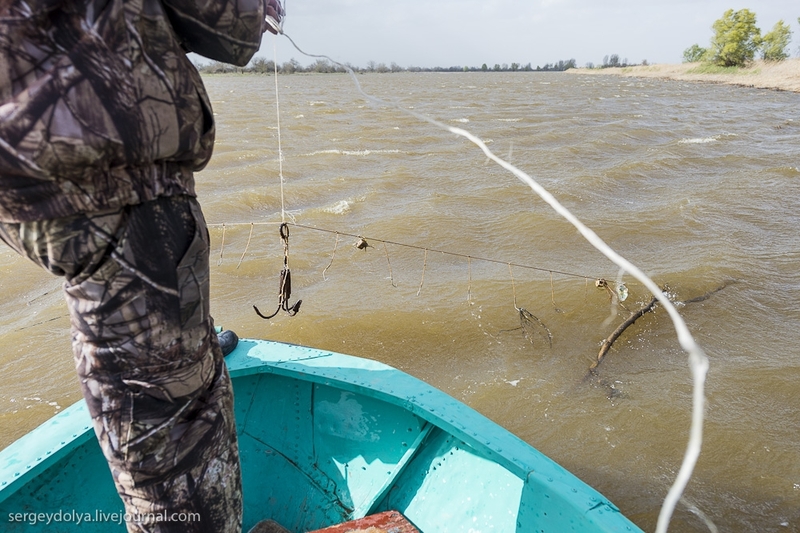 Fishing sturgeon is illegal and prosecuted, so Vasilii is taking risks every day. 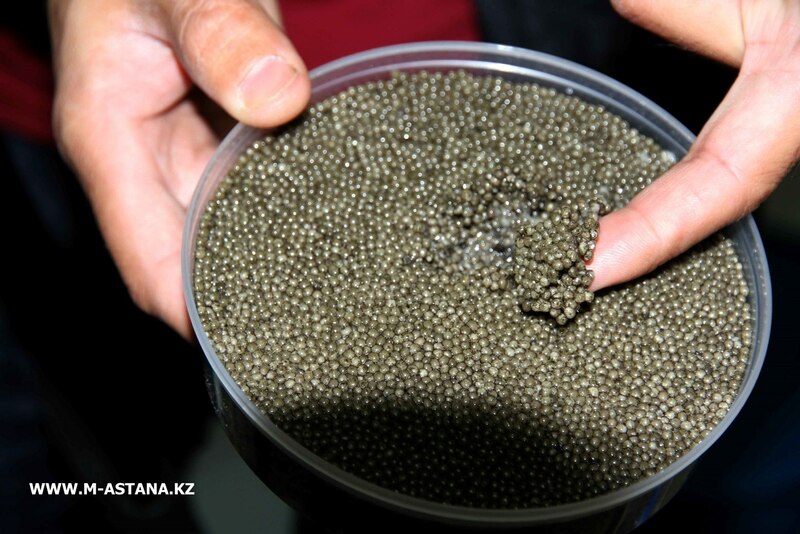 The reward for the risks is a high price of a sturgeon caviar, also known as the “black caviar”. One kilo of this product might cost up to $10,000. 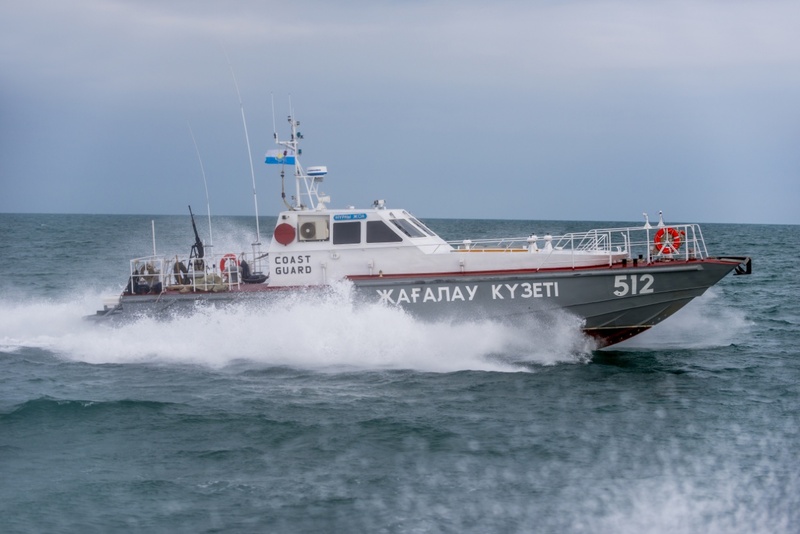 To be able to get away from law enforcement Vasili and his friends use those high speed boats. 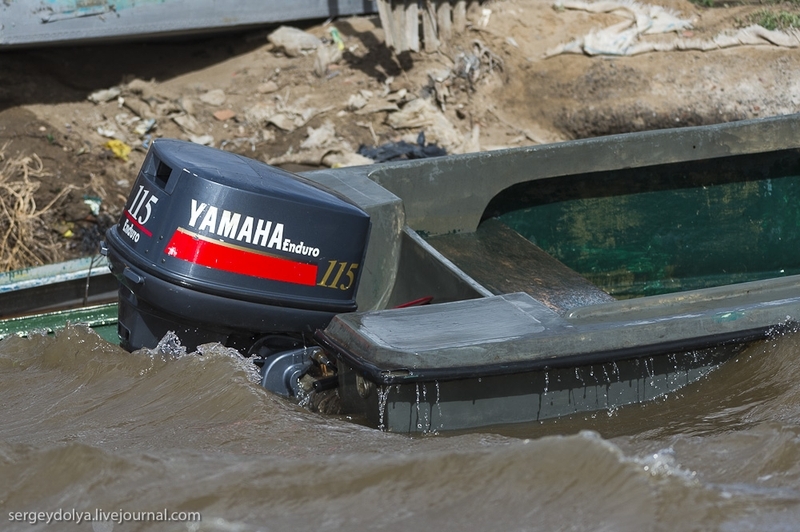 Each boat gets two or three 200 horse power Yamaha motors. Those boats “fly” really fast with that 600 horse power torque. 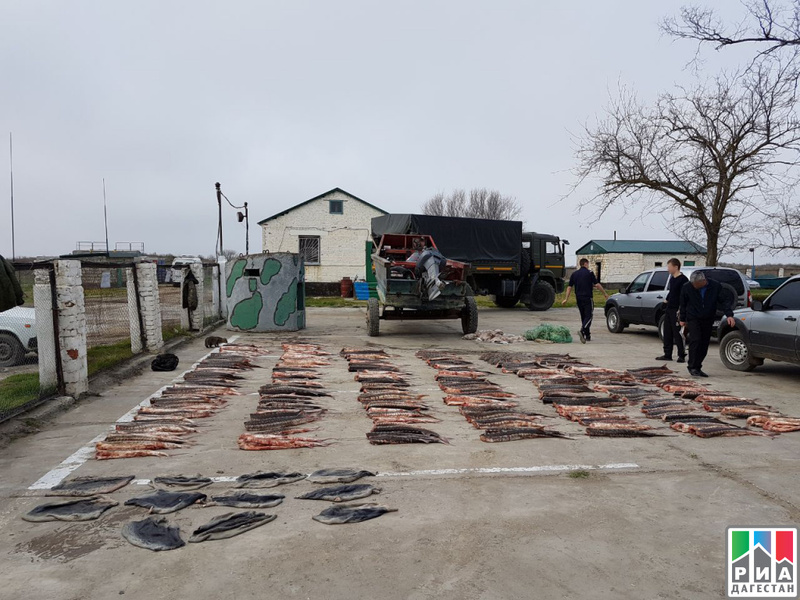 And there is a good reason to have that power: Russian and Kazakh border guards are hunting poachers day and night. 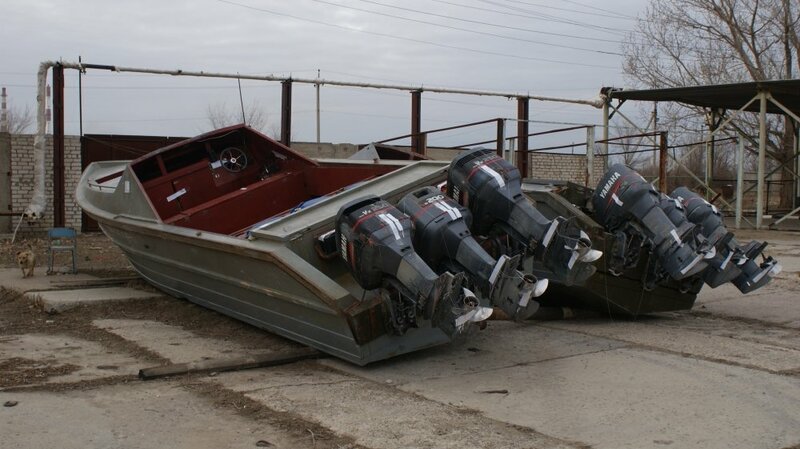 The only way to stop such a boat is to shoot the motors. Vasili knows this and so do his friends. 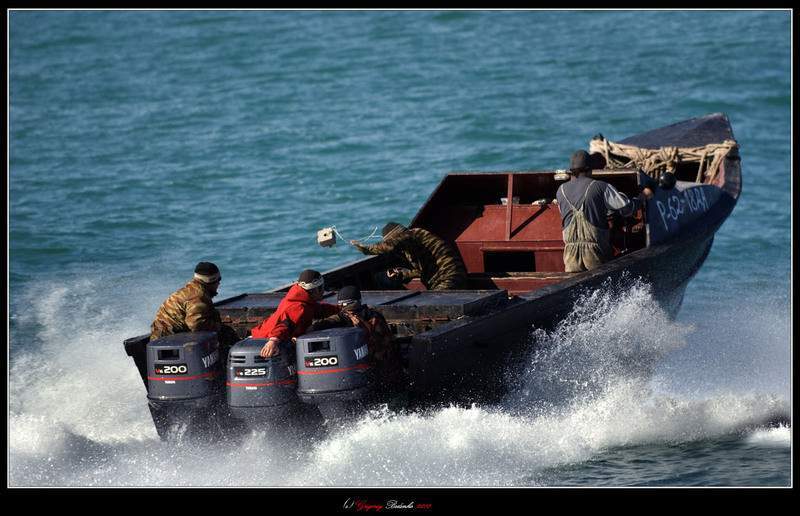 What they do is try to cover boat motors with their bodies – coast guards don’t shoot at people. 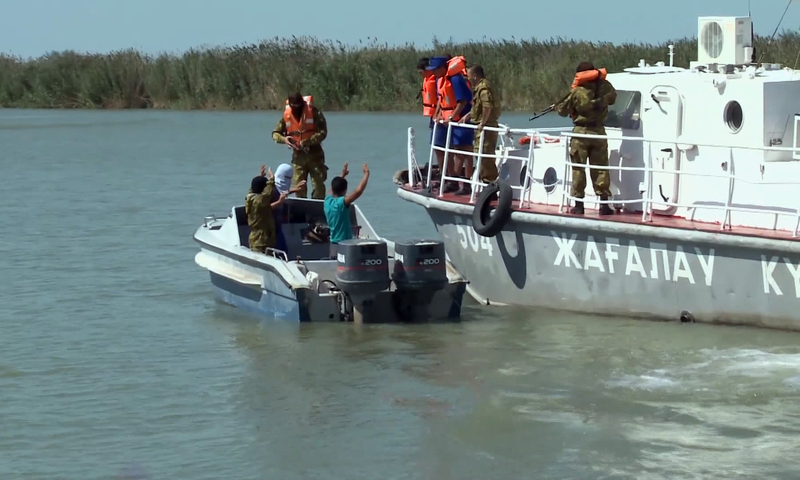 If Vasilii gets caught his boat would be seized. 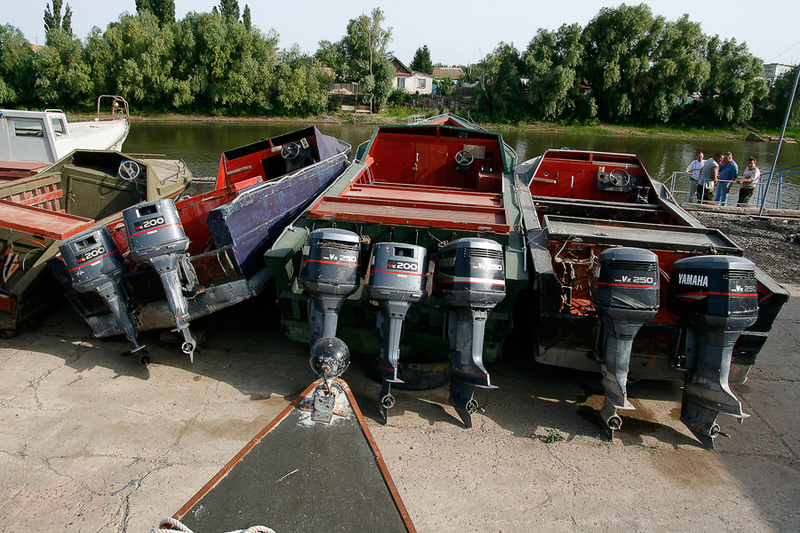 There is plenty of seized poacher’s boats at local Border Guard and police. Each motor costs $15,000. So do the maths how much Vasilii can lose. However if Vasili gets save a shore his profit is around $5,000 – $10,000 every time, depending how much black caviar will be in the fish. 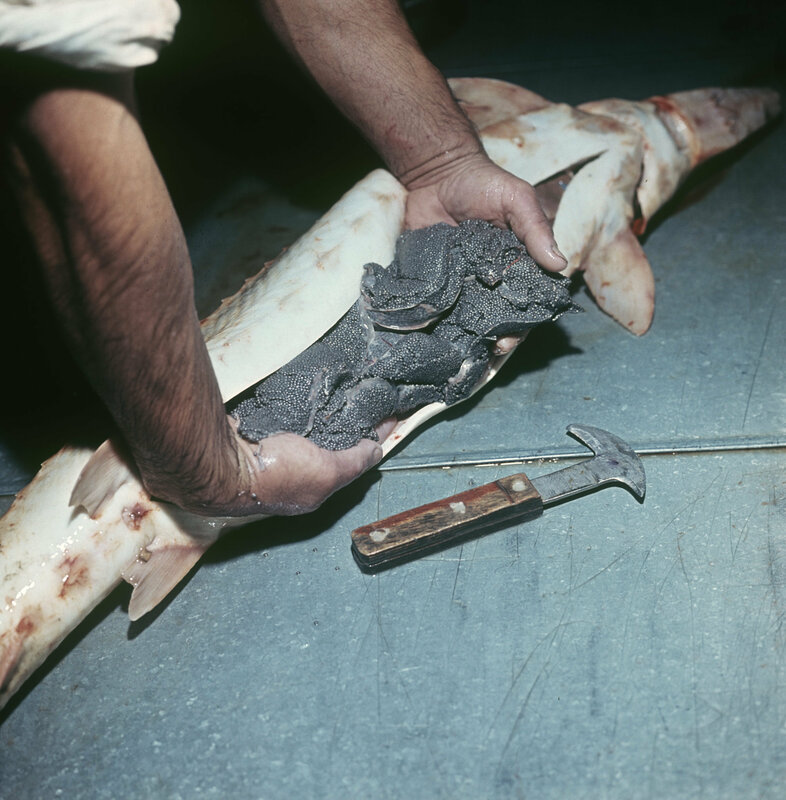 The rest of the fish often discarded as the price of the fish meat is almost nothing considered to the price of the caviar and only gives dead weight to the boat. Only fifteen years old and older fish can have caviar. So those are all old fishes that weren’t caught or we able to escape during last 15 years. This is where Vasilii hunts. 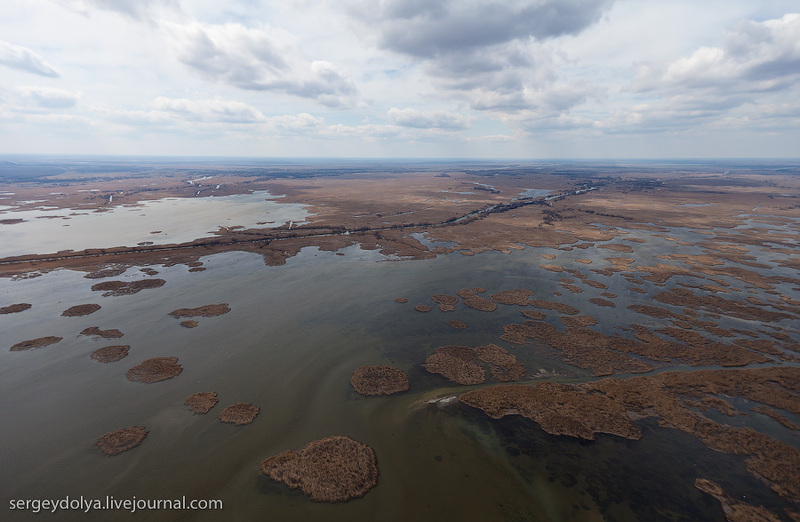 It’s a place where the river Volga meets Caspian Sea. 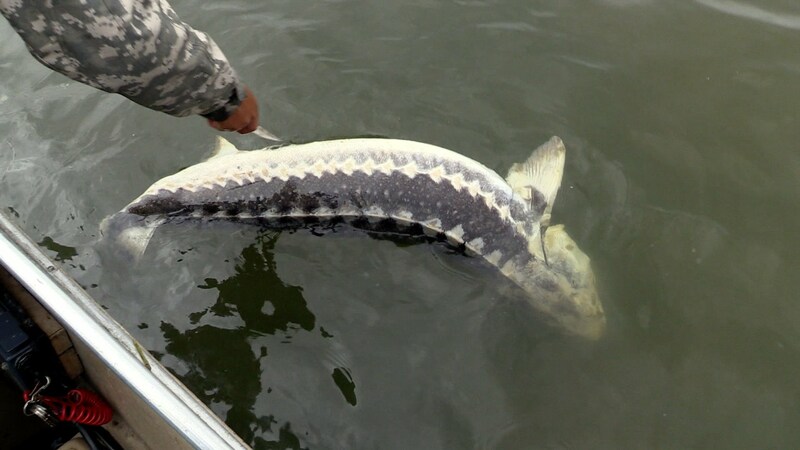 Lots of sturgeon here. These are his fishing gear. A long rope with tens of hooks on it. Usually around 90. 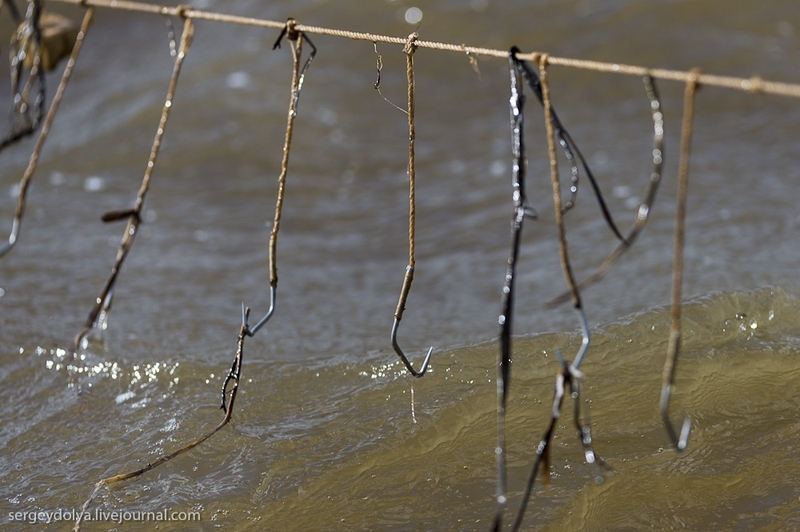 This rope is placed 1 cm away from the sea or river bottom. It gets hidden and only Vasilii knows where it is. All fish passing low at the bottom near this thing gets caught. 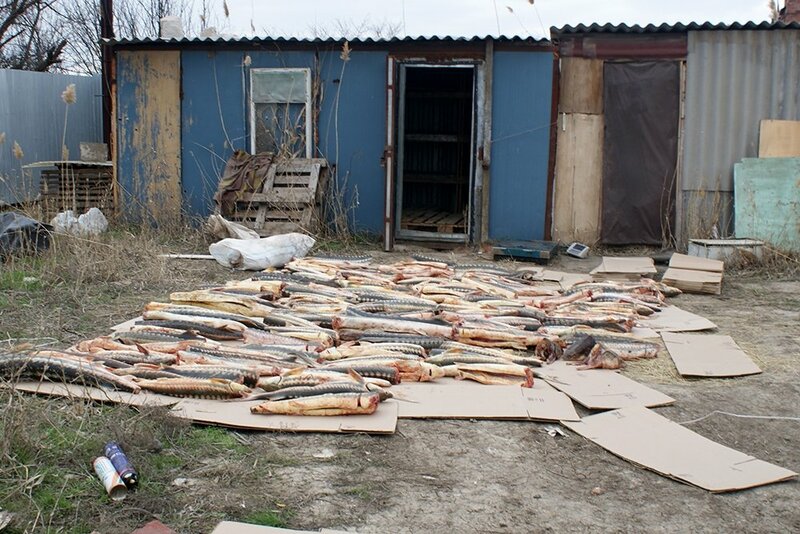 Today Vasilii got no sturgeon fish. But he is not disappointed he also got nets hidden in another place. In the nets he finally gets his sturgeon. Vasilii gets his caviar and throws the fish overboard. It just takes the weight and wastes his fuel. Also gets boat slower in case of a chase. Now it’s time to get home safe. Vasilii was risking showing his craft during broad daylight. Usually he goes out by night. I wonder what ‘ol Vasilii and his children will do in another 15 years or so when there are no more sturgeon left because they they didn’t allow their goose to lay its golden eggs? I wonder if they even think of the lifecycle of the sturgeon? 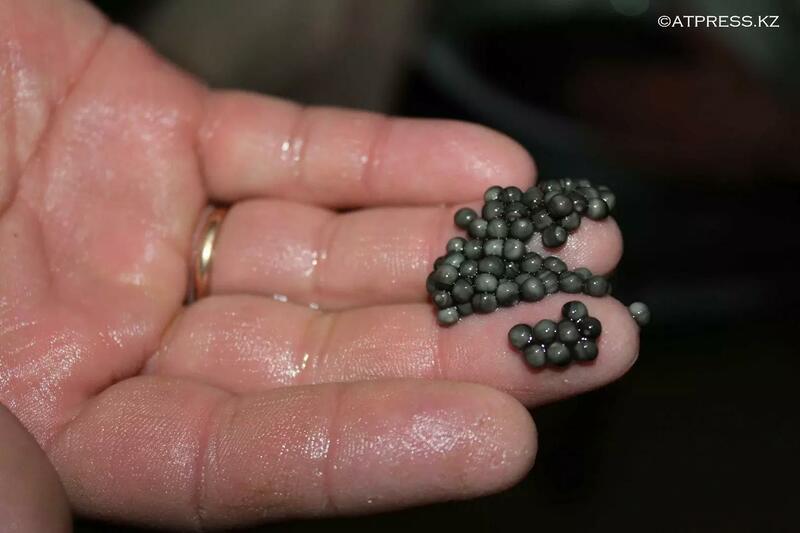 All those delicious caviar eggs will never get to hatch and become adults that will lay more eggs. 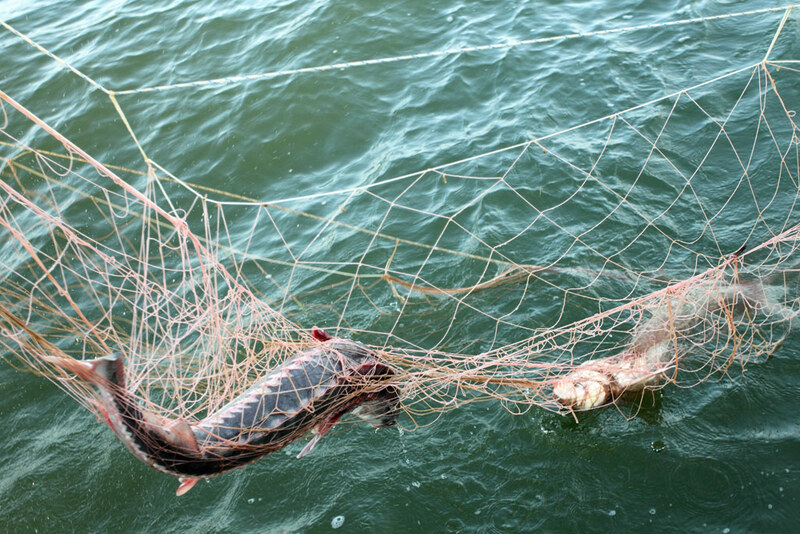 I’ve seen what happens when fishermen and poachers run unchecked. The striped bass fishing in the Chesapeake Bay used to be the best in the world, but almost unlimited commercial fishing and poaching have ruined it in a short 20 years. 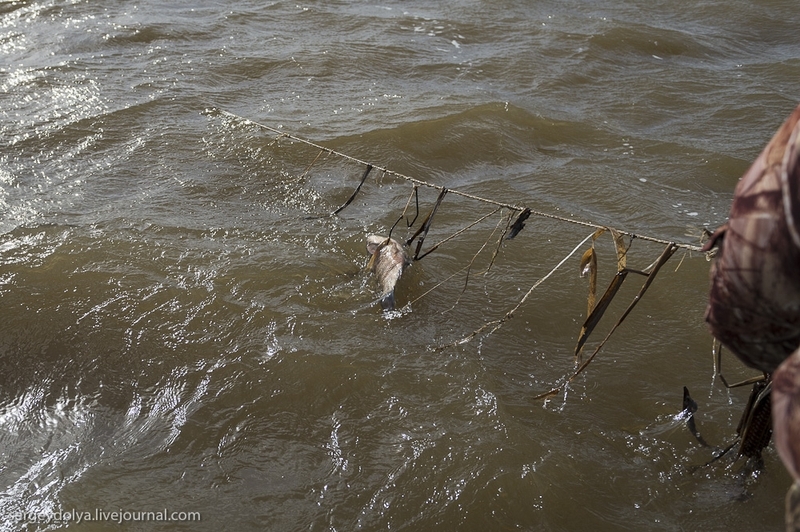 Sadly I can see this same future for sturgeon fishing in Russia. Amen, brother Mjölnir . Vasilii and Company should be the paid farmers of this resource. Hire the thief to catch the thief.